The bidding process for UEFA Euro 2008 ended on 12 December 2002, when a joint bid from Austria and Switzerland was selected as the host. Later that day, members of the UEFA Executive Committee voted on the bids, and chose Austria-Switzerland as the winning bid. Eight venues in eight cities in Croatia and Bosnia and Herzegovina were proposed to host Euro 2008 matches. According to Croatian football executive Ivan Brleković, the stadiums could have been renovated, with a promised 50 million euros investment earmarked by both countries' governments, while more funding had been secured, for upgrading road infrastructure linking host cities. Seven stadia in seven cities in Greece and Turkey were proposed to host Euro 2008 matches. Turkey set a budget of €50 million for the competition to construct a new stadium in Antalya and €25 million to improve the Ataturk Stadium in Izmir. Greece had a budget of €50 million for stadium construction. 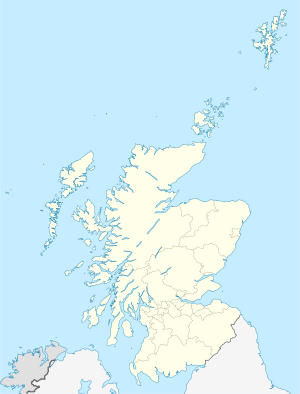 In June 2000, the SFA refused to rule out a four-way bid consisting Scotland–Northern Ireland–Wales–Republic of Ireland. In July 2000, David Taylor announced the bid would enhance if England failed to secure the 2006 FIFA World Cup. On 6 July 2000, England was eliminated from the second round of voting for the host of the 2006 FIFA World Cup. In February 2002, the Scottish Football Association (SFA), and the Football Association of Ireland (FAI), officially confirmed their joint bid to host the 2008 European Championship. SFA's chief executive David Taylor said that the bid envisioned Scotland hosting the opening match, three group stages, three quarter finals, one semi final and the final match, with the Republic of Ireland hosting one group stage, one quarter final, and one semi final. The final bid saw changes to the initial plan with stadia in Scotland hosting both semi-finals, as well as the final. Murrayfield would be the final venue, with Hampden and Celtic Park each hosting a semi-final match. Had the bid been successful, the new stadium in Aberdeen would have been used by Aberdeen, replacing their current Pittodrie Stadium, while the new stadium in Dundee would have been shared by Dundee, Dundee United and the Scottish Claymores American football team, replacing both Dens Park and Tannadice Park, following the competition. It was envisioned that Stadium Ireland would become the home of the Irish national football and rugby union teams, as well as a national stadium for Gaelic games within Ireland. ^ "Euro 2008 football bid unsuccessful". Scottish Government. 12 December 2002. Retrieved 1 June 2012. ^ "UEFA welcomes EURO 2008 candidates". UEFA.com. 19 June 2002. Retrieved 2 June 2012. ^ Bose, Mihir (13 December 2002). "Scots-Irish bid sunk by politics". The Telegraph. Retrieved 1 June 2012. ^ "Bosnian-Croatian bid hoping to heal Balkan divisions". Reuters. Sports Illustrated. 3 December 2002. Retrieved 2 June 2012. ^ "Nordic 2008". ScottishFitba.net. 10 December 2002. Retrieved 2 June 2012. ^ "Scots step up Euro 2008 campaign". bbc.co.uk. 4 June 2000. Retrieved 11 October 2015. ^ "Scots prepare Euro 2008 bid". bbc.co.uk. 2 July 2000. Retrieved 11 October 2015. ^ a b "Scotland and Ireland launch Euro 2008 bid". The Guardian. 28 February 2002. Retrieved 1 June 2012. ^ a b c "The planned venues". BBC. 9 December 2002. Retrieved 16 June 2012. ^ "Dundee's Euro 2008 stadium bid helped by land ruling". The Herald. 26 November 2002. Retrieved 4 March 2018. ^ "What became of Scotland and Ireland's Euro 2008 venues?". euro2008bid.com. Retrieved 4 March 2018. ^ "Where did it all go wrong?". The Guardian. Retrieved 4 March 2018. This page was last edited on 12 March 2019, at 12:25 (UTC).